So many first time home buyers out there are buying foreclosures now, it is really the norm. I met Mike on periscope a live streaming app that has changed my life as I have met so many awesome people. I received an email from him and he said he saw me showing a house on periscope and decided to inquire for more information. 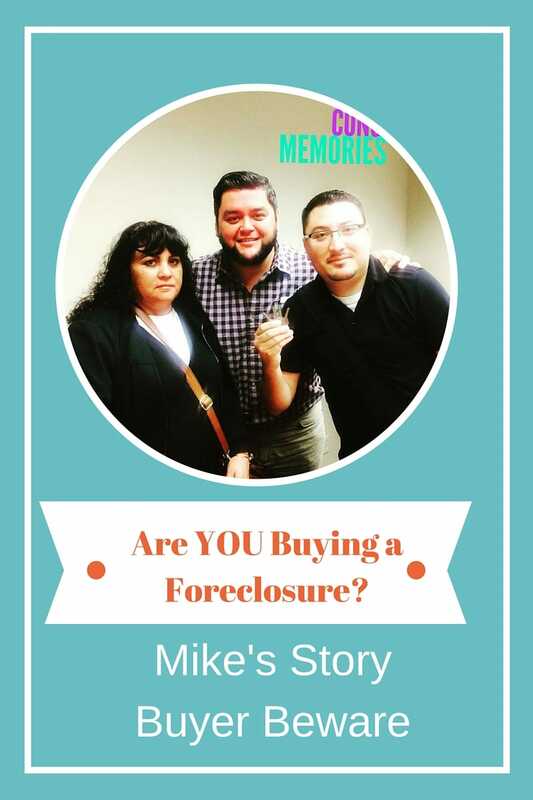 This was Mike’s first time ever buying a home so he wasn’t sure what the process was. Like many first time homebuyers there is a lot involved that you may not realize. So I set up an appointment with him to talk about the steps that first time home buyers will need to know. When Mike first entered my office he was surprised to know that many things he had read online were not true like the fact that earnest money did not need to be given or that you do not need an attorney. So many people read things online and take it for granted. One of the things that Mike wanted was a move in ready home, he didn’t want it to be a complete fixer upper but he wanted to be within his budget therefore he was wanting to buy a foreclosure because the though the cheaper the better. Foreclosures tend to sit vacant for periods of time, which causes major maintenance issues. If a home is not maintained, its pipes could freeze, vermin and bugs could settle in and mold could grow. So as you can see there are many things to think about if you want to purchase a foreclosure. As we moved along in his home buying journey I showed him some foreclosures and I also showed him some rehabbed homes so he can see the difference between pricing and repairs needed. I have included some of our encounters in the video below. He wasn’t happy when he saw the foreclosures because he really saw the many defects the homes had. As we continued to see more homes we bumped into one that was recently flipped or in others words completely renovated from top to bottom. He fell in love with this home. Mike submitted an offer on this home and the seller accepted the offer. It was close to asking price with 3% closing costs back from seller. This home was previously a foreclosure and investor came in and rehabbed the home however the craftsmanship of the rehab was not of top superior quality so when we did the home inspection several items popped up. Such as the furnace was not working and the air conditioner condenser was blown out. These are big ticket items. We were able to get the seller to fix most of the repairs needed but if you are buying a foreclosure that is out the window. When you buy a foreclosure it’s AS-IS so there will be no credits given nor any type of adjustments. On the day of the final walk through we checked to make sure all of the items were fixed and they were. The day of closing was very exciting as this was Mike’s first time buying a home and really didn’t know what to expect. When you are buying a home a slew of emotions will take over and you will feel like it’s a roller coaster ride ?.